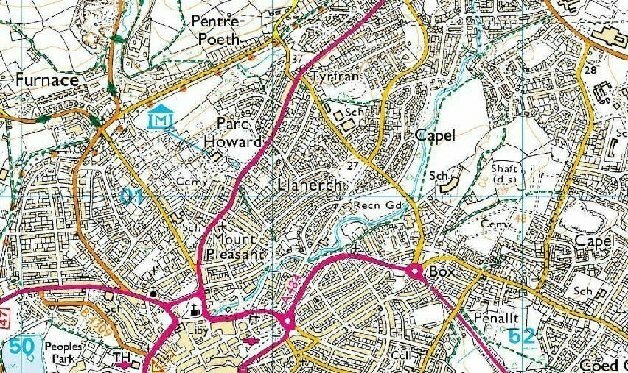 Go via Kidwelly: take the Mynydd-y-Garreg road off the Kidwelly By-pass, go for about 4km to Four Roads, turn right at the cross roads in the hamlet. Follow lane for about 1km to a T junction. Turn right. Waunygwiel is in front of you after about 100m.